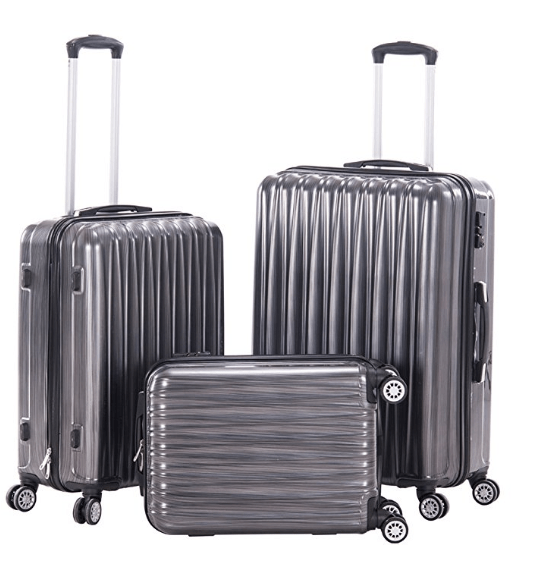 Pianeta Spinner Hardshell luggage set is made up of three bags- 20”, 24” and 28” that are made of the durable PC- polycarbonate and solid ABS plastic and with TSA compatible locks. This is quite a popular product as one of the hot new release luggage sets on Amazon.com. You can purchase it in either grey or peacock blue colors. Most hard shell suitcases are made of either ABS or PC materials but this one combines the two and uses the best features of the polycarbonate and solid ABS plastic materials. And they become more flexible, sturdy and durable and become resistant to any potential impact, especially at the airports. It is designed for use in business and leisure travels, short overnight or weekend stays or longer trips away. The bags have the three-step solid and adjustable ergonomic aluminum telescoping handles for rolling them smoothly and quietly on their rotating multi-directional airplane double flex spinner wheels. There are also flexible side and top carry-on handles with the rubber under the handles so you can lift them easily and comfortably. These bags offer bigger capacities in larger bodies so you can fit in much more than normal. 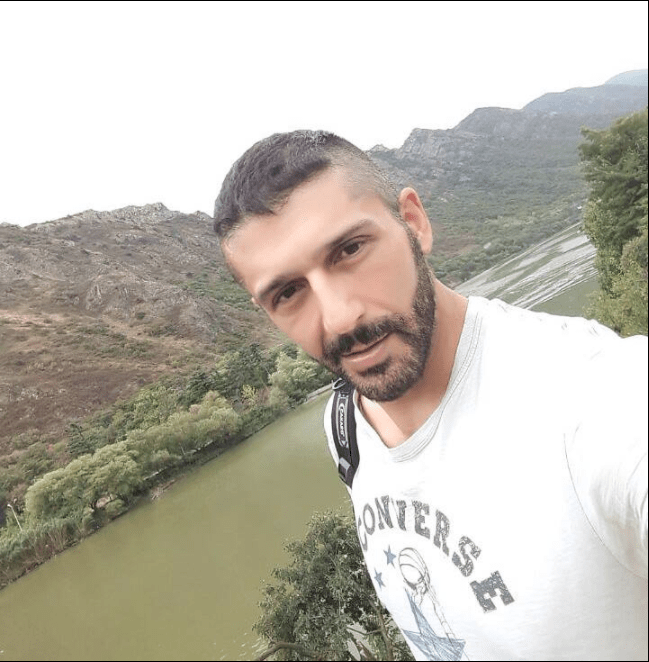 They have the odorless gray lining cloth, zipped mesh curtain on one side for your more private items and the interior compression straps with buckles on the right-hand side that tightens your clothes and other belongings. The combination locks are TSA compatible and there will no damage as the TSAluggage handlers can open and get into your bag any need for breaking the lock. The smallest cabin size 20-inch bag has a 40-liter capacity, weighs 5.72 pounds and measures 14.20 x 8.56 x 20.5 inches. The medium size 24-inch bag has a 60-liter capacity, weighs 7.5 pounds with the measurements of 16.55 x 10x 24.4 inches. 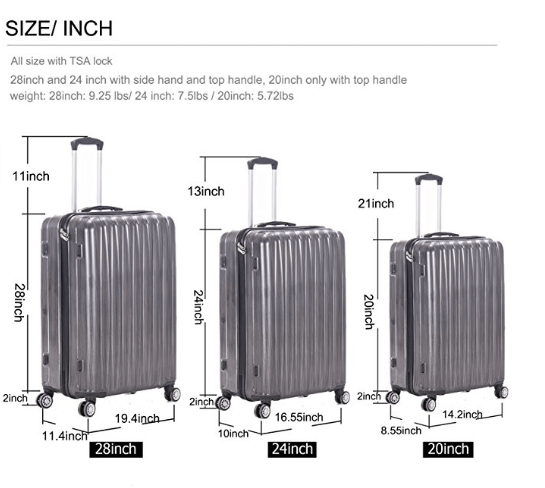 And the large 28-inch suitcase with a 98-liter packing capacity has the dimensions of 19.3 x 11.4 x 28.35 inches and a weight of 9.25 pounds. They can be fitted into each other and this is how they are shipped and can be stored when you’re not using them, to save on space in your apartment. Please note that these bags offer a good amount of packing and storage capacity but are not expandable. There is no side handle but a top handle on the 20” and both side and top handles on the 24” and 28” suitcases. You’ll get the TSA combo lock preset to 0-0-0 and you can see the easy reset instructions on the Amazon product page. The zippers are very good quality and they will open and shut easily and smoothly. There aren’t any extra pockets on this luggage other than the zipped curtain and the cross straps, which is expected in this kind of hard shell luggage. The bags look nice and attractive with a shiny exterior with a lovely pattern and will not show the small scratches much over time. This is quite a good quality set that is offered with a two-year quality warranty by the manufacturer. And if you encounter any problems after your purchase you can contact the seller on Amazon via the email given on the product page.